Yetunde Sapp’s introduction to art started with an unsuspecting beginning. Before she began preschool her father would give her small instructionals while her mother was at work. Yetunde would repeat her name, phone number and address on a piece of paper. At the bottom of each sheet he would include a picture and soon, to his surprise, Yetunde began to copy the illustrations. As the weeks progressed, her father realized she was talented and began giving her cartoons and other difficult designs to try. She was only three or four years old and she perfected them all. 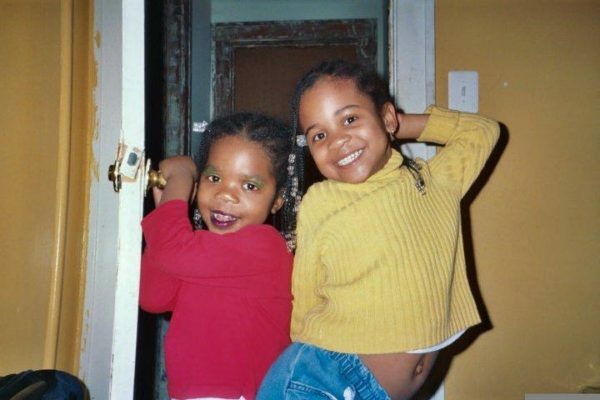 Born and raised in Washington D.C, Yetunde said that ever since she was three she’s known that art is her passion. One day Yetunde was having a conversation with a friend who was being pressured by her mother to chemically straighten her hair. This was drastically different from Yetunde’s experience. She sees her own upbringing as unique because unlike many of her peers, Yetunde’s mother taught her and her sisters to love their natural hair from a young age. 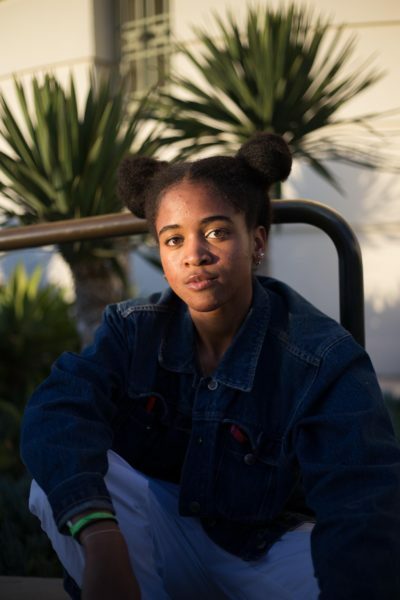 After graduating high school Yetunde moved to Los Angeles to work for a program called ‘City Year,’ an organization that places young adults in high risk schools to better support students. 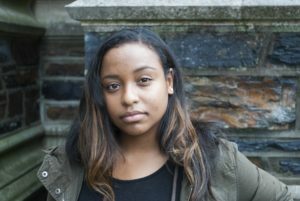 “I wanted to advocate for young people and stop the school to prison pipeline,” she said. 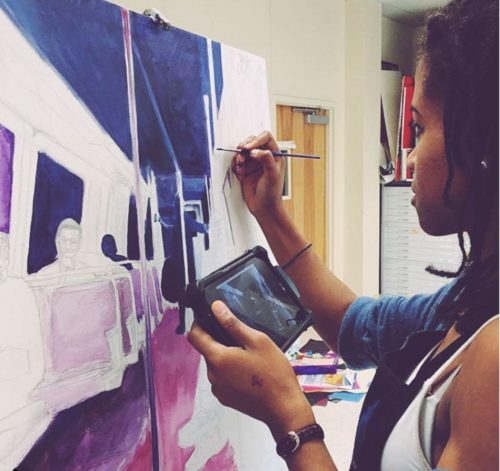 Yetunde continued to create art while working for City Year and one day she received an unexpected phone call stating that her submission for a mural design had been accepted. After some hesitation and initial shock, Yetunde agreed to fly back to D.C. over winter break to complete the project. The project was a mural of Frederick Douglass that Yetunde painted on a water drain in order to raise awareness about water pollution. Soon, word of the project spread. Frederick Douglass’ family fell in love with her work and she had the opportunity to be featured on a radio show. After Christmas Yetunde returned home to Los Angeles where her aunt invited her to a New Year’s Eve bonfire on the beach. While sitting around the campfire, all of the guests were asked to write their new year’s goals and contact information on a sheet of paper. Yetunde’s was simple. She reveals, “I wanted to do more art.”. One hour later Yetunde received a call from a man named Lawrence Charles Carroll. He was a guest at the bonfire. “Everyone at the bonfire exchanged information and she provided her Instagram so I looked her up and reached out because she was so dope, ” Lawrence recalls. He asked Yetunde to be a part of his upcoming project after seeing posts of her artwork on Instagram. 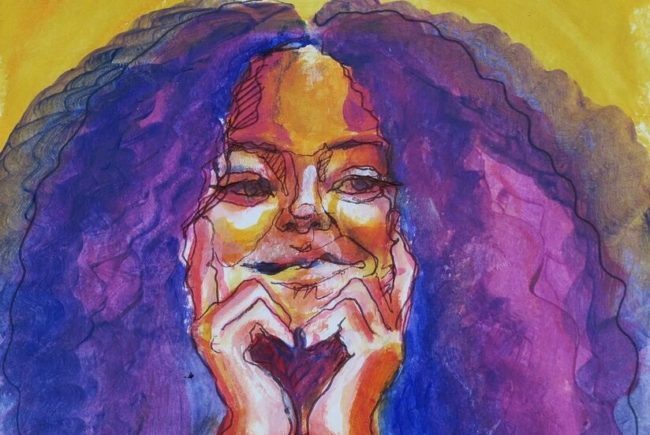 Now, Yetunde is illustrating Lawrence’s upcoming children’s book titled ‘My Dear Queen’ and she is using the power of art to redefine self-love for young girls. ‘My Dear Queen’ was written by Lawrence, who is a writer, publicist and TV personality. The book’s message is one of self-acceptance. “It’s the celebration of your hair, it’s empowerment and ultimately the message is that no matter how you choose to wear your hair it’s a crown,” he said. Yetunde also derives inspiration from her collection of natural hair boards on Pinterest and some of her favorite artists. 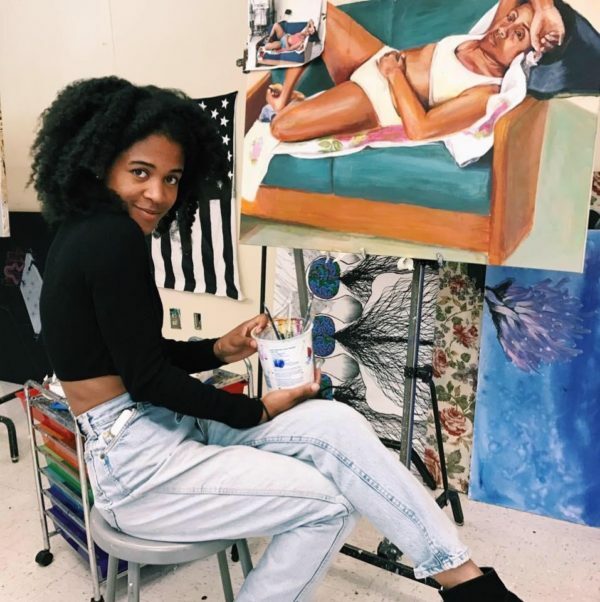 She cites February James, a fellow DC artist of color who works with bright colors, and Bryant Giles, a free hand illustrator as some of her major influences. Artist Alice Neal is one of her other sources because she inspires Yetunde to continuously use people as a focal point in her art. “When I paint, it’s very experimental and I don’t know where it will go, which I enjoy,” Yetunde shares. This fall Yetunde will attend Parsons School of Design in New York City to continue her passion for art and prepare to pursue it as a full time career. “Do what’s true to you,” she asserts. My Dear Queen is set to be released in 2019 and you can check out Yetunde’s work on Instagram at @ye.sap. For more information about the book you can also check out the IndieGoGo campaign page. Taylor Jones is a 22 year old artist who uses her background in documentary film, writing and creative marketing to tell compelling stories. Hailing from Bear Delaware, Taylor has made homes in North Carolina, Los Angeles, New York City and Medellín Colombia. Her work often highlights women of color at the intersection of identity, culture and politics, and seeks to explore the history in which our lived experiences are composed of. Taylor is a recent graduate of Duke University where she studied Political Science and Policy, Journalism and Media Studies.